There’s a fire at the children’s hospital! The animal shelter’s been flooded! The hot air balloon’s suffered a disaster! Save defenseless creatures! Help the innocent! Rescue the helpless! Designed for the HTC Vive and the Oculus Rift, Rescuties VR will have you dashing around your living room catching babies and tossing them into rescue vehicles in your mission to save the day. 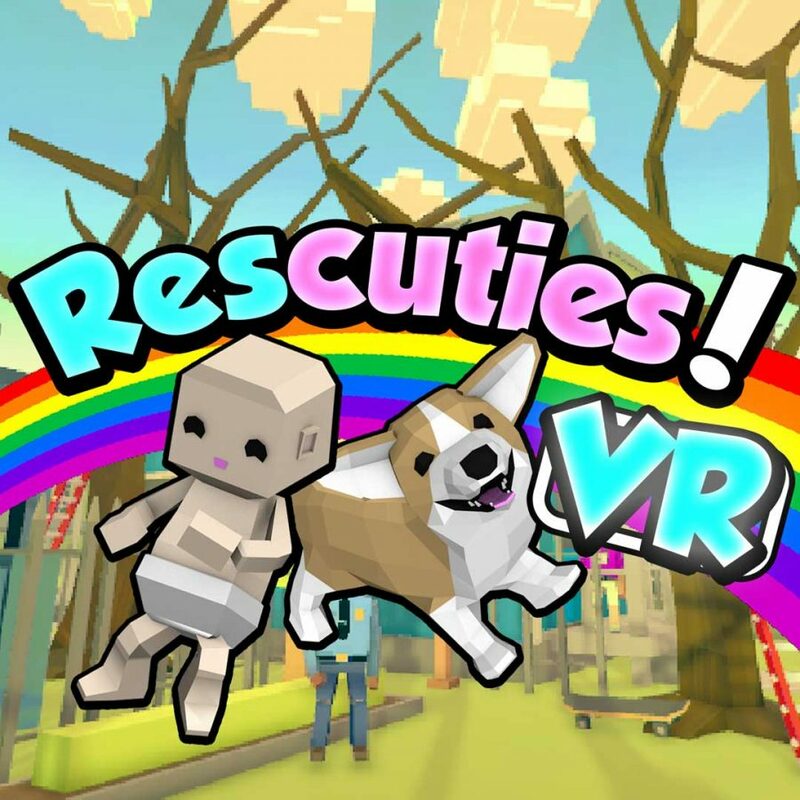 Put on that headset, pick up those controllers and get rescuin’… in Rescuties VR! For Oculus Rift and HTC Vive. “On your left!” “Behind you!” Respond to shouted signals and manage catching and throwing in every direction! One of the first successful VR Kickstarters–and all made by one person, from the cheerful beats to the low-poly babies!